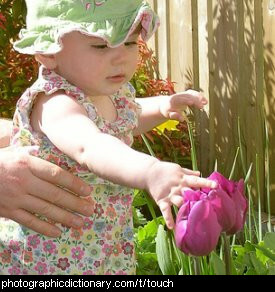 The five senses through which we find our world. You use your ears to hear with. 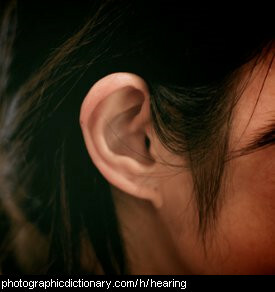 Hearing is a very important sense but it is possible to live very well when you cannot hear. Someone who cannot hear is deaf. Some people who are deaf never learn to talk so they communicate with sign language. You see with your eyes. 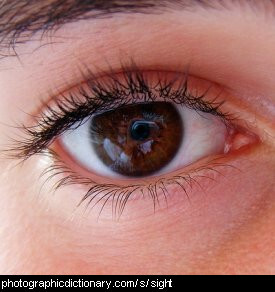 Sight is one of the most important senses. Someone who cannot see is blind. If you can't see properly, you probably need glasses. You smell things with your nose. 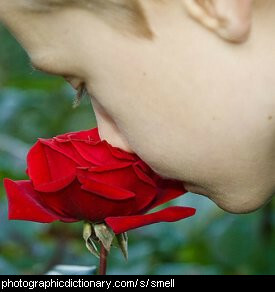 dogs and cats have much better senses of smell than people do. People can only smell very strong smells, like cooking food. You taste things with your tongue. Food can taste sweet, sour, bitter or salty. Most people like the taste of sweet things best. You touch things with your fingers but you can feel something touching you anywhere on your body. When you touch something you can tell if it is hard or soft, rough or smooth.